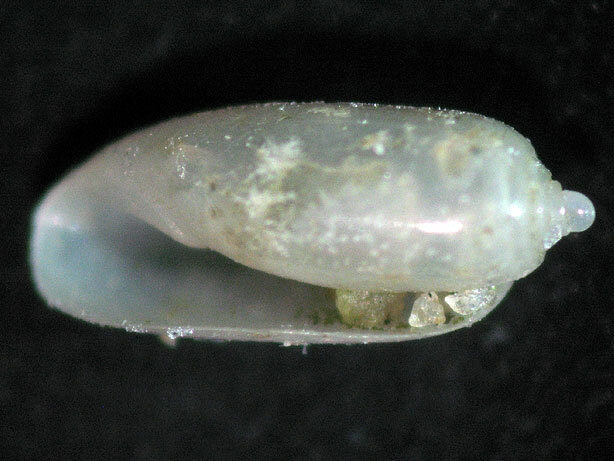 NOTE: Tornatina sp. 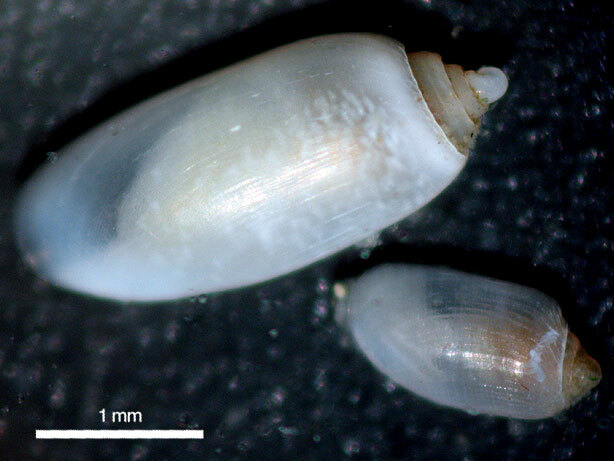 1 (family Cylichnidae), immature individuals. 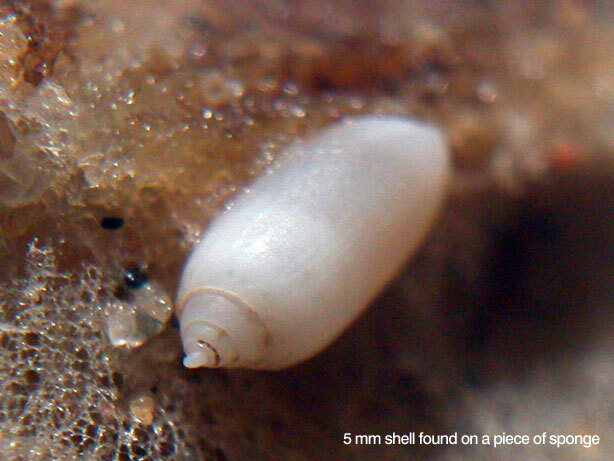 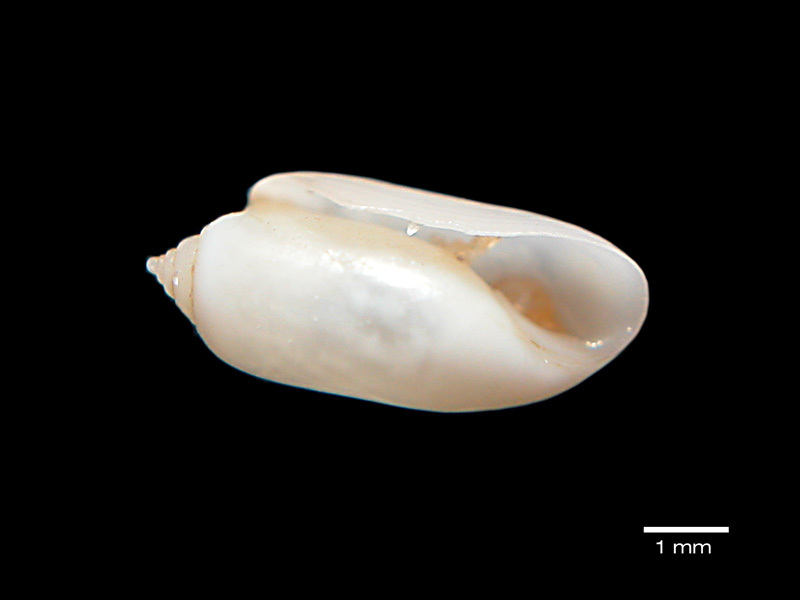 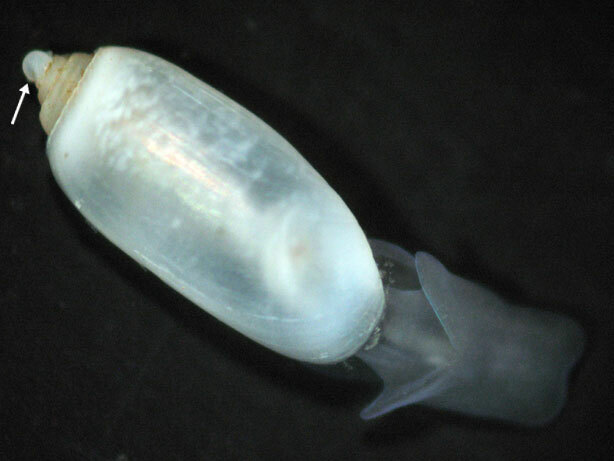 These photos, especially the second photo below, clearly show the heterostrophic protoconch (that is one in which coiling of the protoconch goes in an opposite direction to the adult shell  a feature common to all the Heterogastropoda, which includes opisthobranchs and pyramidellids) and also note the large and widely separated posterior lobes of the head shield. 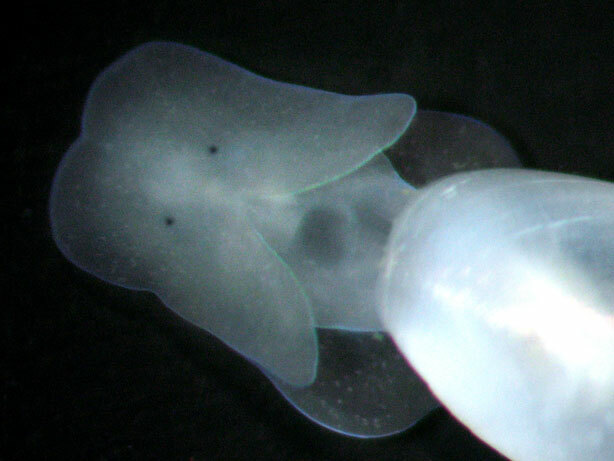 The thin blue margin on these lobes and also on the margin of the foot probably comes from a zone of especially long sensory hairs (cilia), not pigment. 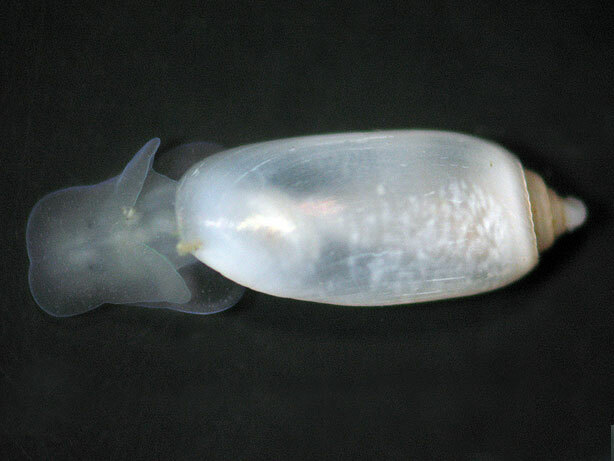 Interestingly for a bubble snail, the foot is short and lacks parapodia, and the Hancock’s organs are cuticularised.